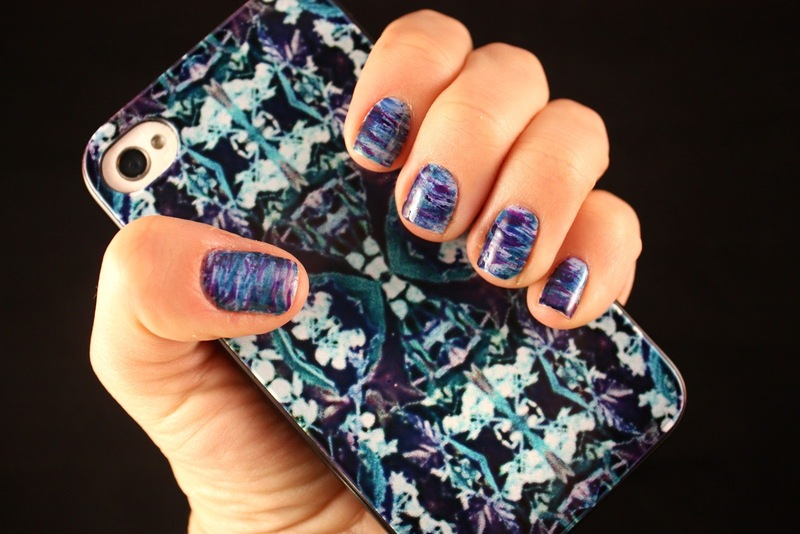 I picked up this fantastic phone case from H&M last week for only $8 and I was absolutely enamored of the design and colors. 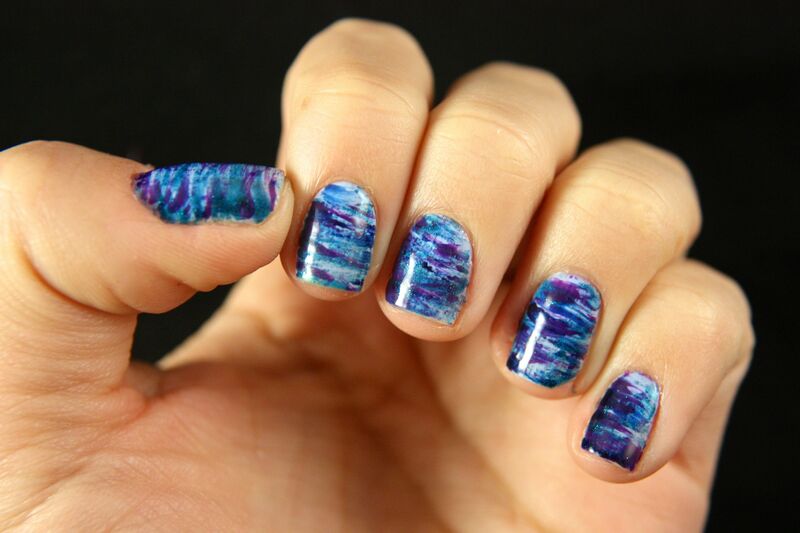 So much in fact that I decided to polish my nails inspired by the colors in the case. After sorting through my variety of polishes in these colors I determined the four that I would use. I selected Essie's Bikini So Teeny to use as the base color. 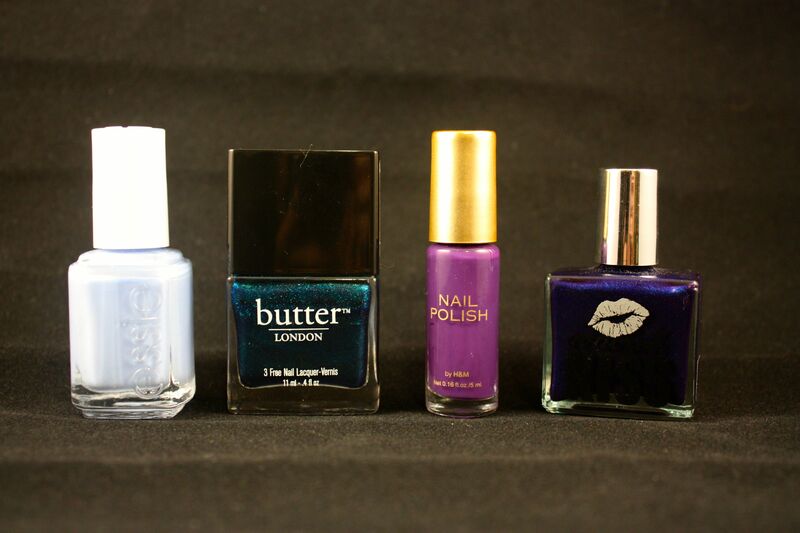 For the other three, I chose a Butter London's Bluey, H&M purple lacquer, and Concrete Kiss's shimmery navy polish.